Delivering on the promise of sustainability. Students and adults who wish to gain skills in carpentry, sewing, construction, culinary/hospitality and farming attend our vocational school. The culinary and hotel management center, complete with its modern equipment, is a wonder both at the school and beyond. Since the first classes, taught by a profession chef, were offered in 2017, the center has seen a growing number of students who are ready to take their place in the industry. In addition to KSVS students, the school has trained existing local catering providers in providing nutritious, balanced meals. 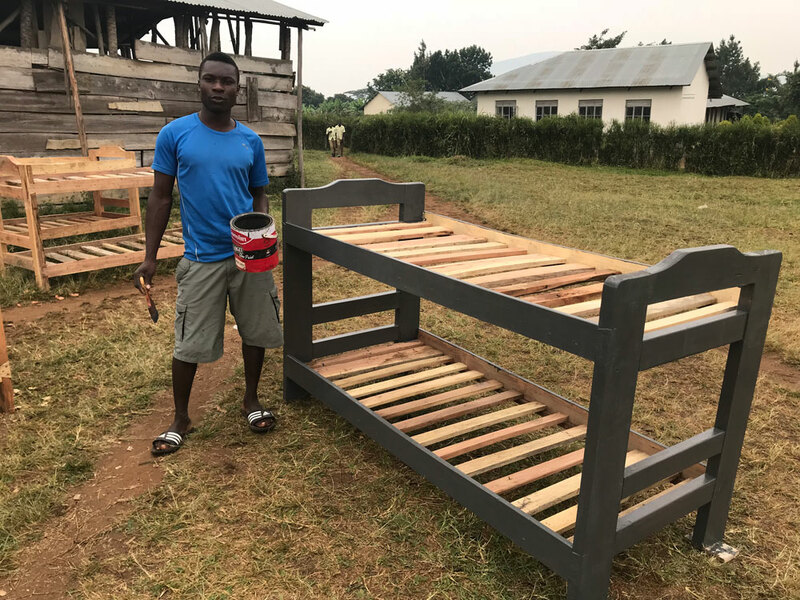 Carpentry shop students routinely produce desks and beds for the school. They also build and sell custom-made furniture within the District. As they graduate, they are employed by contractors or start their own small businesses in the community. 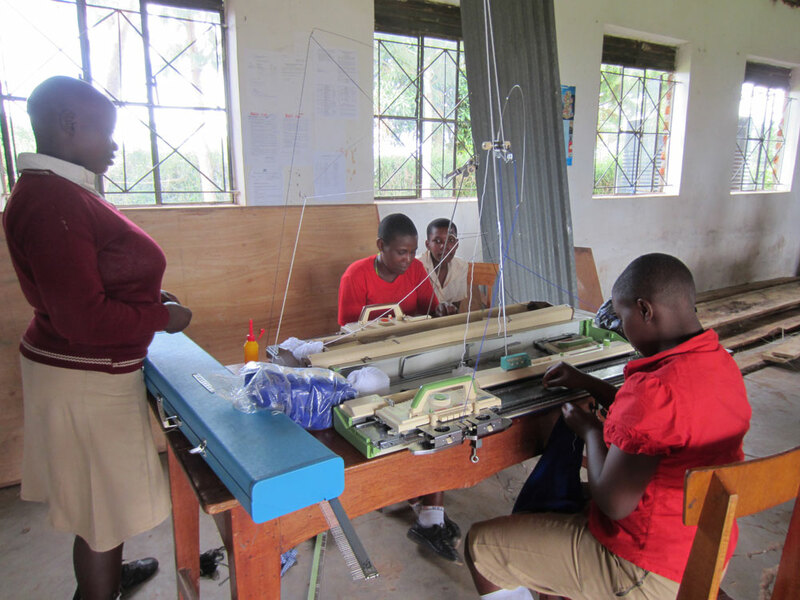 Sewing and knitting students learn to make KSVS uniforms and sweaters as a part of the curriculum. Once they graduate, many are able to offer their sewing skills working from their homes. Agriculture is an emerging area of study at KSVS. In cooperation with Bishop Stuart University in Mbarara, the school is exploring the introduction of new crops to the area. The Kamwenge community has long planted maize as the chief food crop and household income earner. The school’s agricultural program has introduced growing rice alongside maize in a mixed crop setting. Our coffee growing project is promising, with newly introduced plants surviving the midyear warmth and drought. Coffee is a traditional cash crop in Uganda. Being a perennial crop insures that household incomes will improve, creating self-sustaining households. Coffee is intercropped with beans and other ground level crops creating multiple crops within the same acreage. Annet was one of the first sponsored students at KSVS when it opened in 2007. She was an older student who had been away from school for several years. 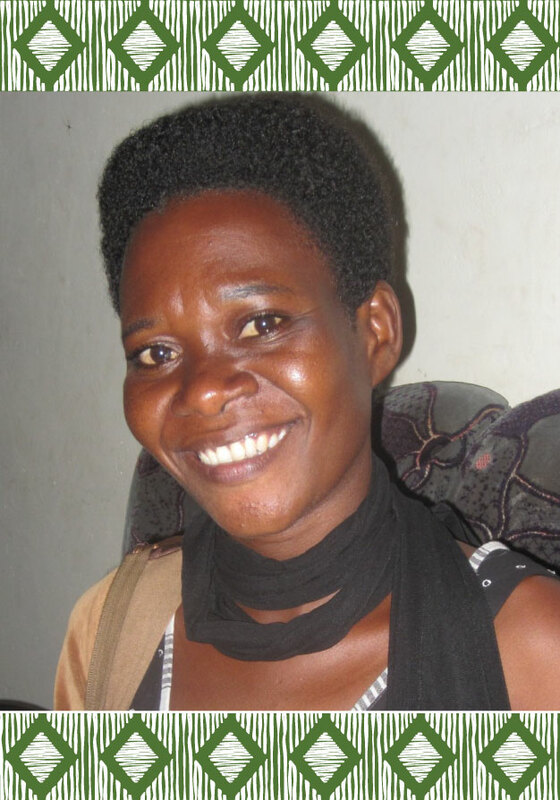 Annet excelled in sewing and tailoring for 3 years, then graduated and took a teaching position at the school. In 2014 she married a pastor and moved to a new community where she helps support her family with her sewing. She and her husband have a young daughter.